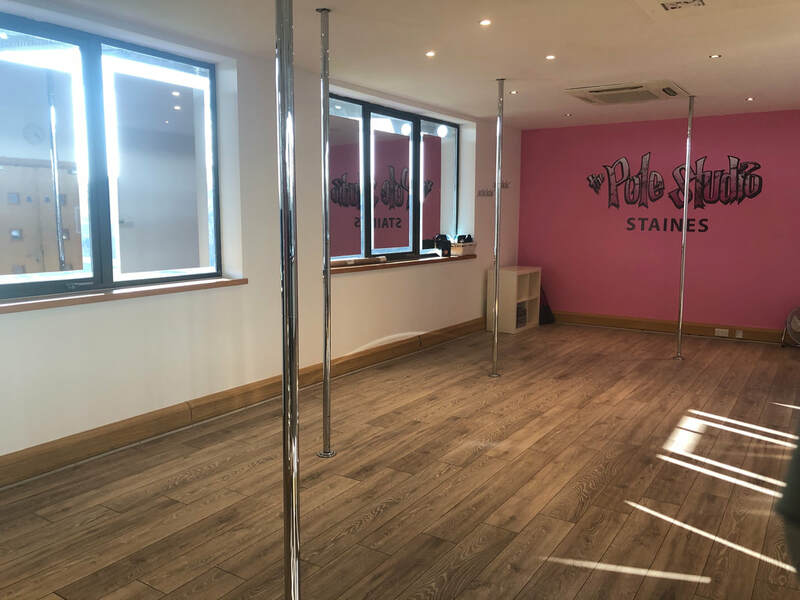 The Pole Studio Staines is a full time studio. It runs Beginner, Intermediate, Advanced, Elite, Spinny Pole, flex classes and practise sessions. Daytime, evening and weekend private lessons are also available.